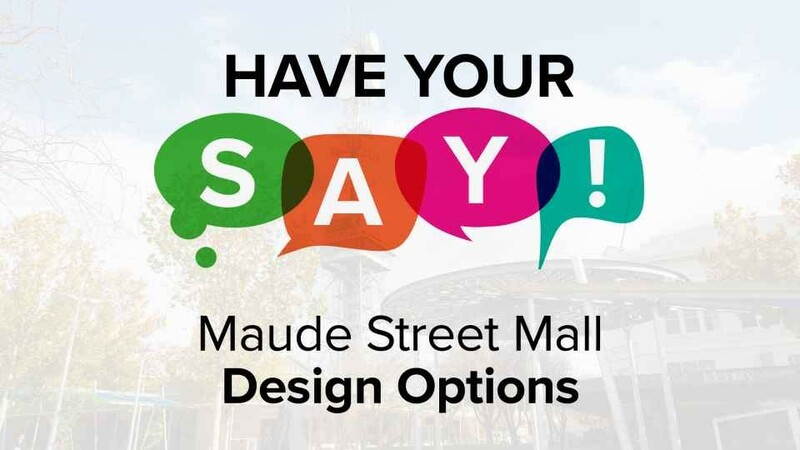 In March 2017 Council resolved to undertake a process of exploring design concepts for a redeveloped Maude Street Mall. 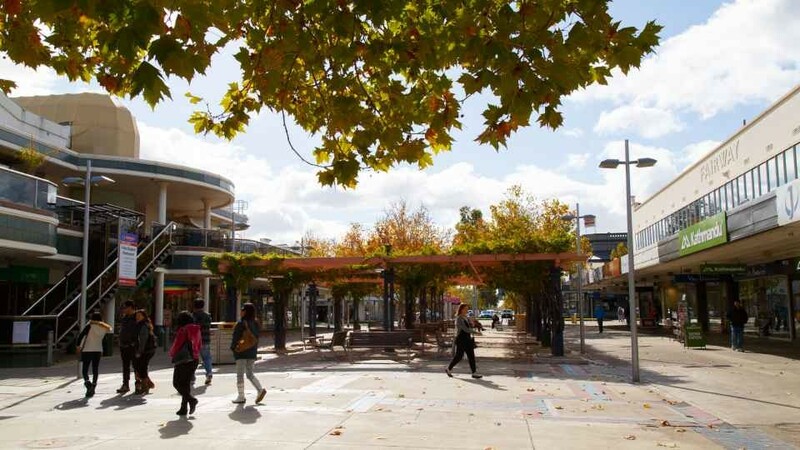 The aim of the project is to improve the function and visual amenity of the Mall in maintaining its primacy as the heart of the Shepparton CBD. Reintroduction of two-way traffic and on-street car parking between Fryers and High Street. Introduction of one-way traffic and on-street car parking entering from Fryers Street and High Street and exiting at Stewart Street. 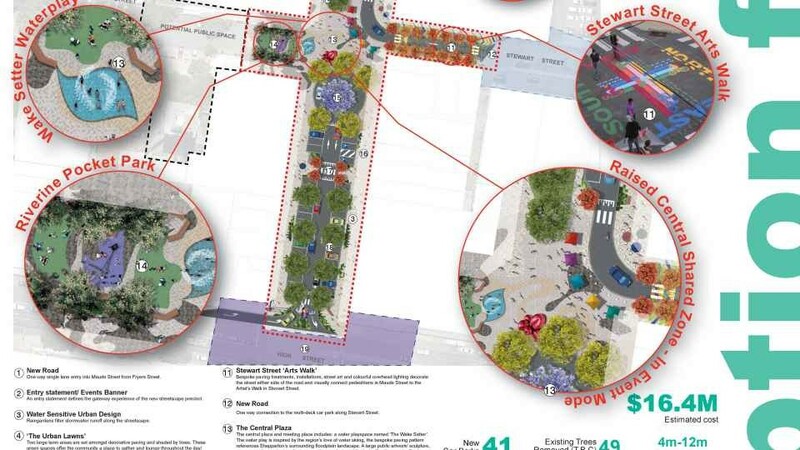 Retention of the Mall as a pedestrianised open space with new urban design elements and infrastructure upgrades. Introduction of one-way traffic between Fryers Street and Stewart Street with additional off-street parking in the south, accessed from High Street. Concept layouts and preliminary costings was developed for each of the options to assist in making future decisions about the Mall. Council endorsed Option 4 at the Ordinary Council Meeting on 19 September 2018. Detailed design, a business case and costings will now be developed for the Council ensdorsed option. 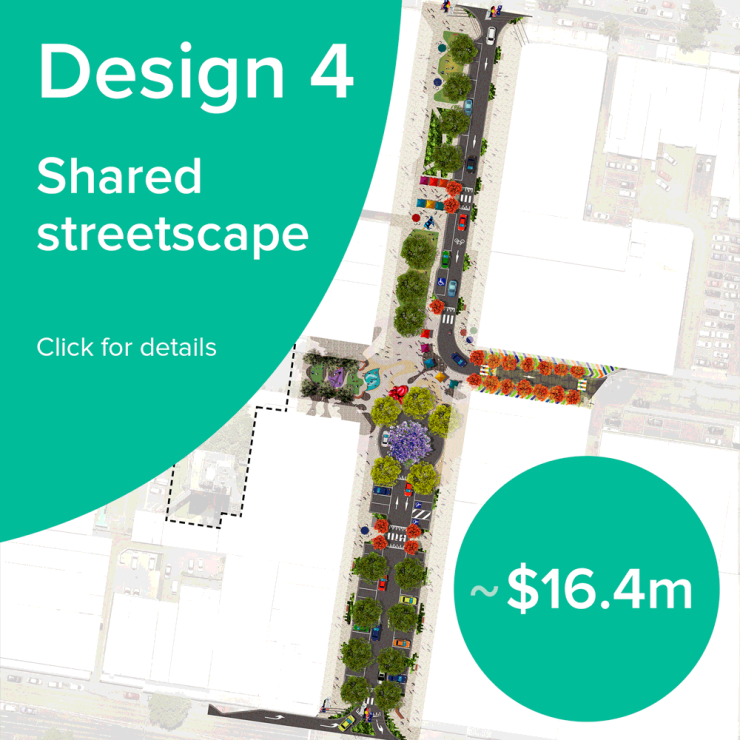 Why have Council adopted Option Four as its preferred design for the redevelopment? 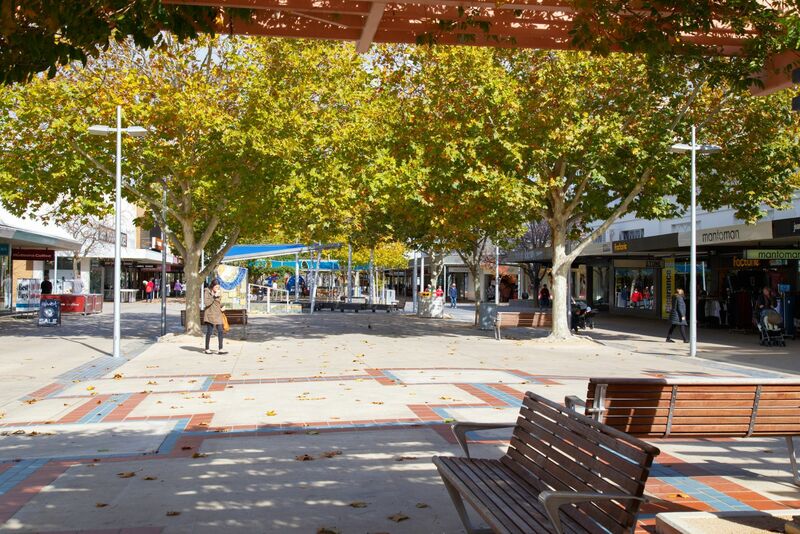 Council have taken into account feedback received through community consultation as well as a range of factors and industry trends in forming a decision on the future layout and function of the Maude Street Mall area. Why do Council need to get a detailed design? Detailed design provides the full design of the proposed works for construction. This work will provide more accurate costings and detail on the scope of works required for construction. Detailed designs are commonly referred to as being “shovel ready” and are required for State and Federal government funding applications. Why does Council need to undertake a business case? A business case analysis will provide Council with a more detailed understanding of the project’s benefits and the return on investment for the project. It is a standard process for significant Council projects to ensure that ratepayer’s money is being spent in a responsible way. Business cases are required for most State and Federal government funding applications. How long will the detailed design and business case take? The detailed design and business case would be expected to be completed by the end of 2019.
Who will complete the detailed design and business case? Council will procure this work through public tender in accordance with its procurement policy. How much will the detailed design and business case cost? The final cost for the work will be determined by a public tender process. The timeline for construction works will be determined by a number of variables including; the final scope of works within the adopted detailed design, staging of the project, availability of additional funding support. Further detail on the timeline for construction will be determined through the detailed design process. The scope of works outlined within the conceptual design work undertaken to date could involve a construction period of up to 12 months. How much will the redevelopment cost? The cost estimate developed as part of the conceptual design work for Option Four is $16.4m. More accurate costings will be obtained through the detailed design process as the overall scope of works is refined. Will Council be funding the whole project? Regular project updates will be made available here or you can subscribe to receive updates directly.